There’s good news if you own a Yale smart lock. Yale and August lock brands (both owned by Assa Abloy) announced a collaboration that upgrades Yale’s existing smart locks with August’s software via a hardware add-on—albeit for $129. The upgrade isn’t cheap, but August has the best lock software on the market. The move is also interesting because August makes the top-rated smart lock in Consumer Reports’ ratings, while Yale makes some of the lowest-rated. (The Nest x Yale smart lock is an exception because it uses Nest software.) Because CR has tested locks from both brands, it’s possible to predict how Yale’s smart locks are likely to perform with August’s software. When you compare Yale and August smart locks in our ratings of smart locks, you’ll notice that the August Smart Lock Pro beats the Yale Real Living YRD226 in two key ratings: smart IQ and connectivity. (See details of each lock, below.) Our smart IQ rating judges each lock on its array of smart features (such as electronic keys and voice control via digital assistants), while our connectivity rating looks at ease of wireless setup. The August also beats the Yale in some of our forced-entry tests, but that’s only because we paired it with our top-rated deadbolt. 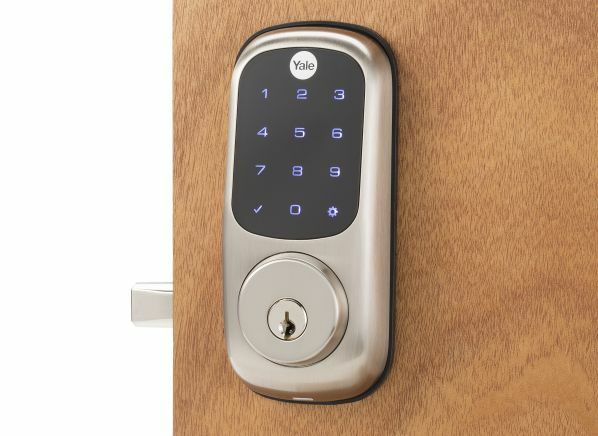 “If the Yale YRD226 smart lock received similar smart IQ and connectivity ratings to the August Smart Lock Pro, its scores would somewhat improve, but it still does poorly in our forced-entry tests,” says David Trezza, CR’s test engineer for door locks. Of course, we’ll have to retest the Yale smart lock with August’s software to know for certain how the ratings will change. If you own a Yale Real Living YRD226 (or another compatible model) and you upgrade it with the August software, you’ll get features such as auto-unlock (it knows when your phone is nearby), as well as access to all of August’s third-party integrations, including Amazon Alexa, Apple HomeKit/Siri, Google Assistant, Airbnb, VRBO, Wink, and SimpliSafe. 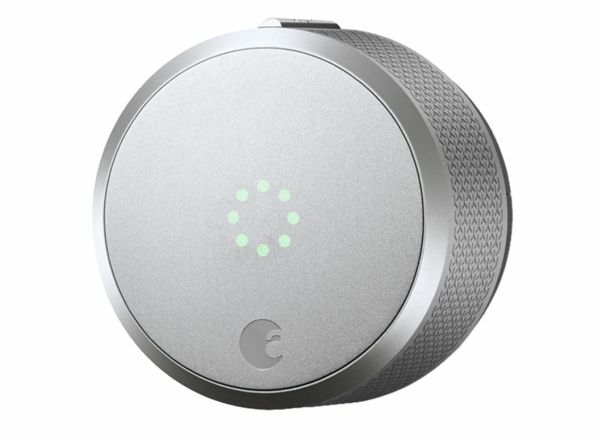 Most smart locks work with only a few ecosystems, so if all these partners work with the compatible Yale smart locks, it would make them some of the most versatile smart locks on the market. If you’re now interested in these Yale locks and want to improve their resistance to kick-ins, we recommend purchasing and installing a box strike plate with 3-inch screws. These reinforced strike plates can be purchased online for about $5. Current Yale smart-lock owners will be able to upgrade their locks with a special Connected by August Kit for $129. The kit includes an August Network Module (it looks like a memory card that you plug into the back of the lock), an August Connect WiFi bridge for connecting the lock to the internet (typically $80), and an August DoorSense sensor. The DoorSense sensor embeds in the door jamb or on the trim and can tell you whether your door is open or closed. This should be a pretty easy upgrade, although embedding the door sensor in your door frame will require you to use a cordless drill. The Connected by August Kit works with these three styles of Yale smart lock, which, from left to right, have the model numbers YRD216/YRD416, YRD226/YRD426, and YRD256. The August Network Module plugs into the interior side of compatible Yale smart locks. The August Connect WiFi bridge connects the Yale smart locks to the internet. The kit works with the following Yale models: YRD216, YRD416, YRD226 (tested by CR), YRD426, YRD246 (tested by CR, but now discontinued) and YRD256. Yale also plans to sell two smart locks with the August hardware in the box. These models are the Yale Assure Lock SL YRD256, $299, and the CR-tested Yale YRD226, $279. In the coming months, we hope to get these locks into our labs to see whether the August upgrade makes them smarter. How do you know if you're getting the best door lock for your home? Consumer Reports' expert, Eric Hagerman, shows 'Consumer 101' TV show host, Jack Rico, how CR puts these important devices to the test to help consumers keep their homes and families safe and secure. Correction: This article has been updated to indicate that the Connected by August Kit works with the Yale YRD246.